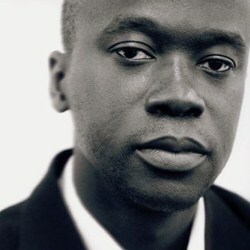 David Adjaye OBE, Principal Architect of Adjaye Associates, is one of the leading architects of his generation. Described as an architect with an artist’s sensibility, his ingenious use of materials and showcasing of light have defined his work since establishing his practice in 2000. He was born in Tanzania in 1966 and lived in a number of different cities across the continent of Africa until settling in London at the age of thirteen. After gaining a B.Arch. from London South Bank University, he graduated with a Master’s degree in Architecture from the Royal College of Art in 1993, where he won the RIBA Bronze Medal. Projects have been diverse in scale, audience, and geography. They include numerous private houses, exhibitions and pavilions as well as major arts centres and important public buildings across Europe, North America, the Middle East, Asia and Africa. These demonstrate his considered approach to understanding the needs of the constituency served by each building and a respect for their integration – culturally and architecturally – within the existing locale. Completed civic works are: two neighbourhood libraries in Washington DC; Moscow School of Management SKOLKOVO; The Bernie Grant Arts Centre in Tottenham; the Museum of Contemporary Art in Denver; Rivington Place – a visual arts centre in London; The Stephen Lawrence Centre in Lewisham; the Nobel Peace Centre in Oslo; and the Idea Stores on Chrisp Street and Whitechapel – two pioneering new libraries in the London Borough of Tower Hamlets. His largest commission is the project to design the Smithsonian Institution's National Museum for African American History and Culture on the National Mall in Washington DC, which is under construction. Also on site is the Sugar Hill social housing scheme in New York’s Harlem, a mixed-use retail and arts complex in Beirut, Lebanon and a concept store in Lagos, Nigeria. In the UK, he is working on a number of projects including a new ‘fashion hub’ in Hackney, London. Projects in Ghana include the five star Princes Town Resort, Elmina College and Roman Ridge Gardens residential development.